OYO 16497 Home Graceful 3BHK Parra is a good value for money option located at Indias premier beach destination, Goa. OYOs skilled and friendly staff is always on their toes to cater to all your requirements. From regular to exceptional, you will find all the amenities such as Mini Fridge, Kitchen, 0 in your room ensuring you have a pleasant stay. Soak in the culture of the city while exploring its top attractions like St. Cajetan Church, Casino Palms and Church Of St Alex Goa. Do not fret if you run out of cash. Theres HDFC Bank ATM, Canara Bank ATM and HDFC Bank ATM located at a short distance. 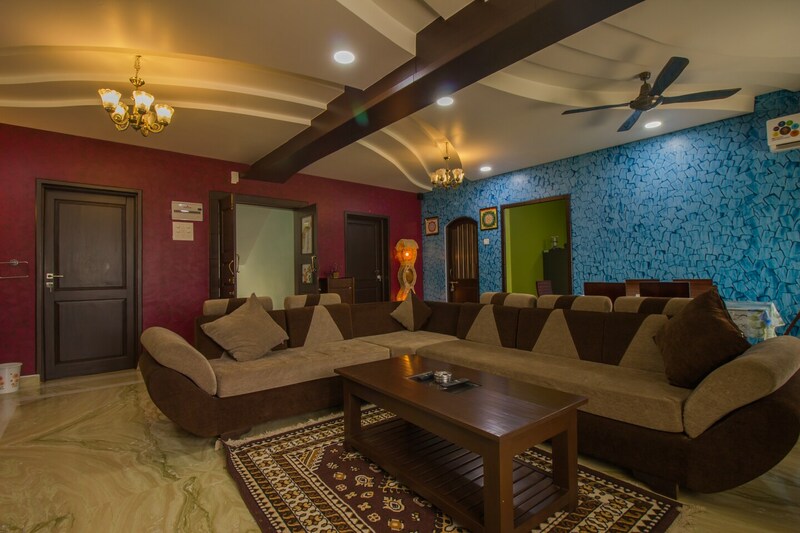 Make memories in Goa, while you enjoy a welcoming stay at OYO 16497 Home Graceful 3BHK Parra.